The Oculus Rift will be popping up at three markets for Chuck E. Cheese in the coming six weeks. The road test of sorts will start off in Dallas, Texas then spread further throughout the Dallas-Fort Worth area. From there, six Orlando, Florida and eight San Diego, California establishments will allow for patrons to experience The Rift as part of the birthday package. The device will be a part of the “Chuck E. Cheese’s Virtual Ticket Blaster Experience,” and will see players inside a booth with the headset on. They’ll have a thirty second time limit to blast virtual tickets which will be converted into actual Chuck E. Cheese currency for use at the prize counter. So while a kind might get just enough to get the glow in the dark fangs or an eraser, at least they get to experience VR in the process. The deal with Oculus Rift was the brainchild of Dallas’ Reel FX. The company has been working with Chuck E. Cheese’s since 2012 in re-imagining the 37 year old pizza and family fun establishment. Reel FX also became an early adopter to the Rift on Kickstarter. While this is an actual business application for the Oculus Rift, it can be looked at as a road test to see the VR headset’s greater commercial appeal beyond PC gaming. It will also serve as a kind of guinea pig for other companies currently developing their own VR devices such as Sony. 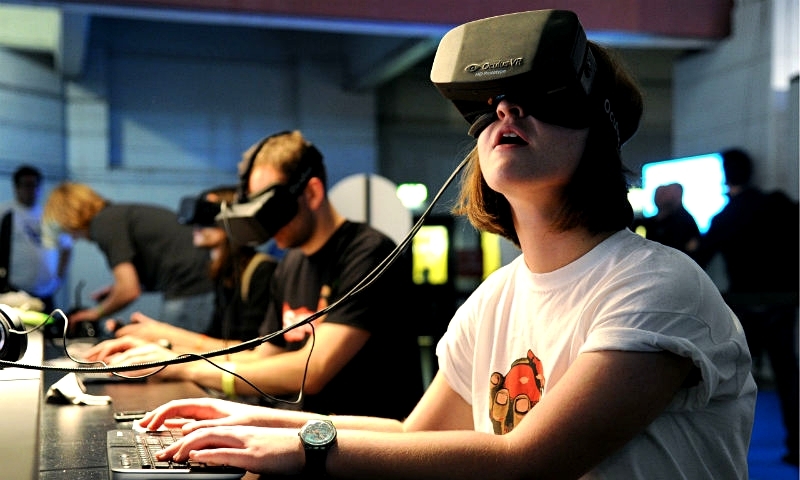 What other areas do you see Oculus Rift getting used in? What do you think of this deal with Chuck E. Cheese’s? Let us know below.